Today I thought I would do something different and share a little bit about me, the person behind The Design Boards! I can be a very private person so at times it can really be difficult for me to open up and share bits and pieces of my life. One of my goals for this blog is to make it a more personal space - not that I'm suddenly going to start telling you about the inner workings of my mind or anything but I really want more of my personality to come through. I'm really moving outside of my comfort zone here so baby steps are necessary but over time I really hope that my readers can learn more about me and my life. In turn, I would love to hear more about my readers, so if you've been reading since the beginning or just recently started dropping in, please feel free to drop a line in the comment section telling me a little bit about yourself! I was raised in Alaska - I lived there for 9 years and it was amazing...seriously one of the most beautiful places on Earth. I am a Flexitarian (aka - occasional meat eater and yes this is real term, I didn't make it up - seriously, it's on wikipedia) and I generally eat very healthy with the exception of a few vices like my wicked sweet tooth. I am learning German - my husband is half German and his entire family speaks it and I am so excited to one day become fluent. Mike and I have been together for eight + years, married for two. We were friends first and to this day, no one makes me laugh the way he does! He is my very best friend which is why our relationship works as well as it does. 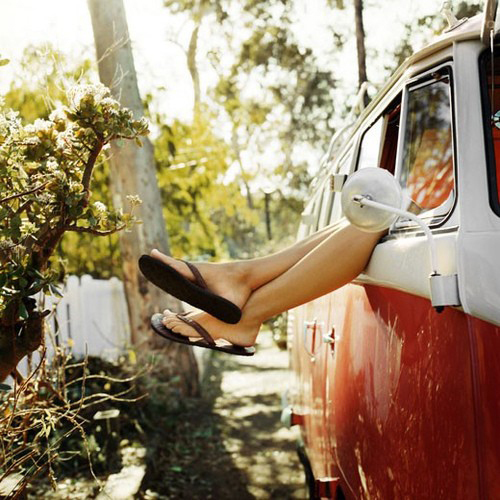 My dream car is a vintage VW bus...If I won the lottery - first thing I would buy. My favorite fashion accessory is a scarf - I wear them all the time. I have a really hard time making decisions which is one of the reasons why it's taken me so long to make any progress on our house. I constantly doubt every choice I make and I like so many different styles that it's sometimes really hard for me to focus in on one thing and just go with it. So there you have it, now you know a little more about me! I have a hard time making house decisions too!